This sterling silver Engravable Beaded Baby Bracelet, by Empire Silver, is the perfect gift to welcome a new life into the world. 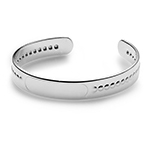 This cuff style bracelet features beaded trim and can be engraved on the front in the space provide. The perfect newborn gift and great for a Baby Shower, a Christening or Baptism. Made in America. Comes in a Empire signature mint green gift box. Measures 1-1/2 inch diameter. The engravable space measures .75" x .175" and cannot fit more than ten characters. 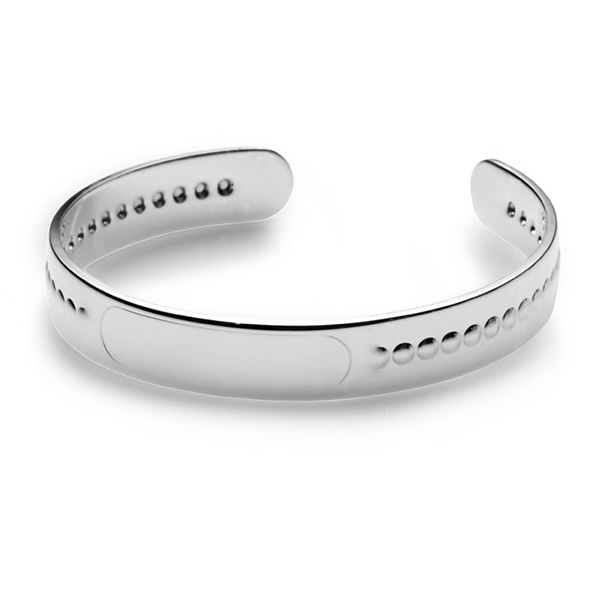 You may also like the non-beaded Sterling Silver Baby Bracelet by Empire Silver.